This will beat the Tesla Model Y crossover, which CEO Elon Musk said will come to market in late 2019 or 2020, according to Seeking Alpha transcripts of the company’s first- and second-quarter earnings. 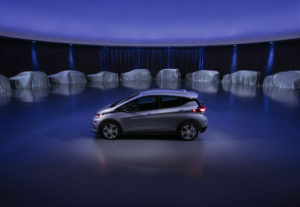 GM CEO Mary Barra’s presentation at the 2017 Barclays Global Investors Conference described a path to making electric cars profitable where a new battery system comes in at $100 per kilowatt-hour, down from the $145 seen in the 2017 Chevrolet Bolt’s battery. It’s likely that some or even many of these 20 electric vehicles might not appear in the U.S. A key driver of this growth is China, which is fighting air pollution and where GM and its partners already sell more cars than they do in America. Bloomberg reported in September that Beijing mandated automakers to have 4-5 percent of their sales involve electric cars by 2020, with that proportion required to grow. Bloomberg noted that like China, the United Kingdom and France also want to phase out fossil-fuel powered cars. But the U.S. will still have an appetite for the cars — particularly if the vehicles can be sold affordably enough that they make sense for a driver (while still making the car company a profit). 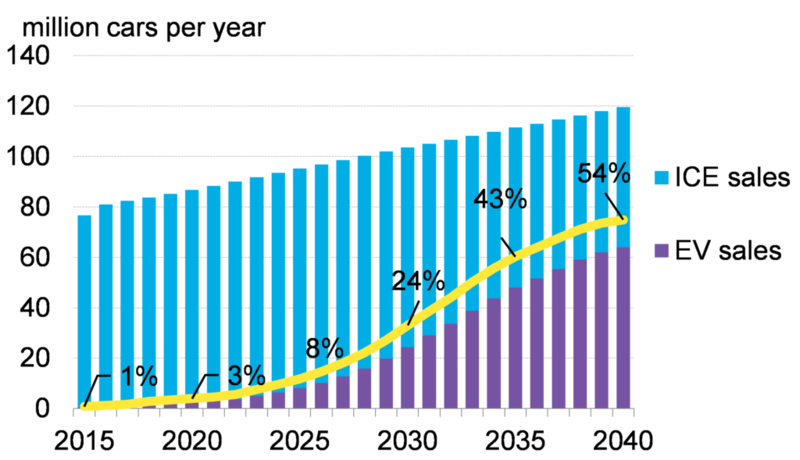 EVs require less maintenance and have a lower cost of ownership, so once the up-front costs fall enough (or gas prices rise enough), customers in America ought to flock to them. 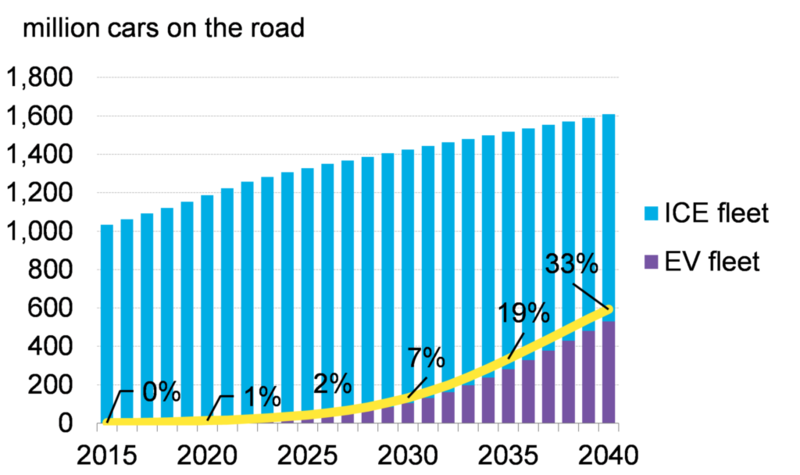 Electric cars make even greater sense for fleets (think of all the Prius taxis you see), which will rack up maintenance and gas costs far faster than the typical family car owner. With OEMs able to deliver more than 200 miles on a single charge and most trips racking up far less mileage, there’s no longer a serious range anxiety concern for either market. We’ve already shared some I-CAR about the additional care repairers need to take to keep themselves from being electrocuted while fixing an electric vehicle, be it a mild hybrid like the Prius, a plug-in hybrid (a hybrid with a battery which can be charged with a wall socket and run without gas for 20ish miles), or a fully electric car like a Tesla or Bolt. But there’s also the matter of the customer’s protection when performing collision repairs on electric cars. And that’s something auto body shops will have to take just as seriously given the nature of electric vehicle batteries. 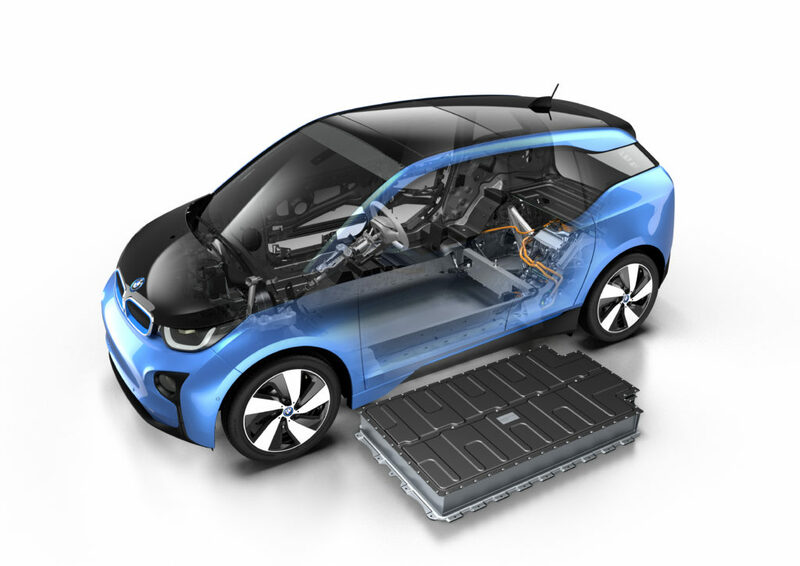 Automakers designing an electric vehicle face the challenge of protecting the “expensive and dangerous batteries” during a collision, SSAB body design expert Jonas Adolfsson said during an Automotive World webinar on Tuesday. Adolfsson’s presentation examined how ultra-high-strength steels — which typically can’t be repaired like mild steels — could be used to protect the battery more affordably than competing substrates. “Batteries are very sensitive and contain dangerous liquids,” Adolfsson said. He said they’re sensitive to impacts and face electric vehicle-specific crash requirements from governments. As the Insurance Institute for Highway Safety and Australasian New Car Assessment Program observed in 2015, Federal Motor Vehicle Safety Standard 305 describes specific crashworthiness rules for electric cars. • Any electolyte spillage shall not enter the occupant compartment nor exceed 5 liters outside the occupant compartment. 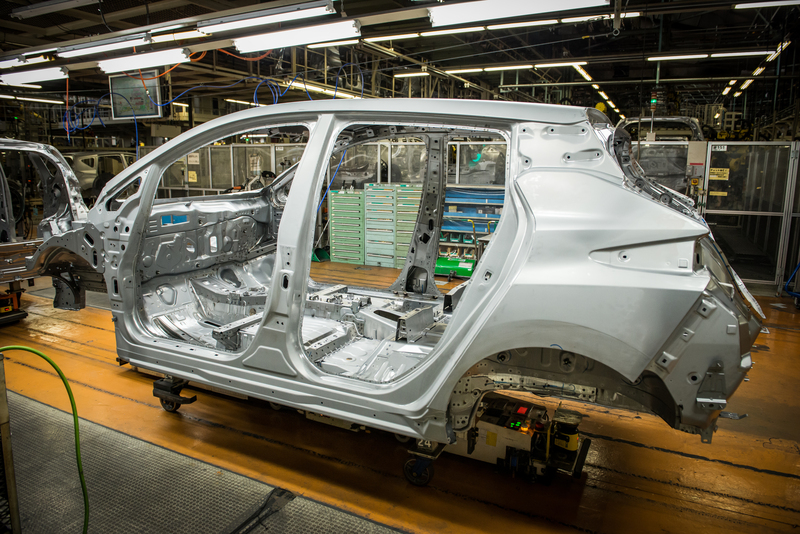 On the whole, the organizations concluded in 2015 that OEMs do a good job of protecting EVs, though narrow-offset crash tests could be a challenge. But this protection could be compromised by incorrect collision repairs, a problem the National Highway Traffic Safety Administration even anticipated in an October analysis of electric vehicle safety. “All events in a vehicle’s life must be considered, because events that are benign for conventional vehicles could be very harmful to Li-ion battery systems,” NHTSA wrote. Structural battery protection compromised by inadequate collision repair could jeopardize not only one’s customer but other motorists, based on one example cited by the IIHS and ANCAP. “The most widely publicized fire incident involved a 2011 Chevrolet Volt after it was crash tested at MGA Research, in Burlington, Wisconsin, in June 2011,” the IIHS and ANCAP wrote. “The Volt’s lithium-ion battery caught on fire 3 weeks after being subjected to an 18 mi/h side pole test as part of the National Highway Traffic Safety Administration’s (NHTSA) New Car Assessment Program (NCAP). The fire quickly spread to three adjacent vehicles. An extensive post-fire investigation later determined that a small amount of battery coolant penetrated the high-voltage battery case after the crash, causing the battery to short and eventually leading to a thermal runaway condition. So it’ll be crucial to read the OEM repair procedures and know precisely what substrate you’re dealing with and how it should be handled. Adolfsson presented examples of some of the ways SSAB’s steels would work well for auto body battery protection. He said steel was well-suited to protect vehicle batteries, as its high ductility allowed it to absorb more energy. One option was a 1,700-megapascal ultra-high-strength steel battery protection beam. Adolfsson said the design could work longitudinally or as a crossmember and even be adapted to be a bumper beam as well. Another involved a 1,300 MPa battery reinforcement in the vehicle tunnel, and a third was a battery protection shield rated at 1,200 MPa but able to be formed into complex shapes. The manufacturer even has created a 2,000 MPa steel with “excellent ductility properties,” according to Adolfsson. It held up as a bumper reinforcement beam when smacked by a 2,200-pound pole at nearly 7 mph. The 2,000 MPa steel appeared “just some weeks ago,” but could be seen on the market as early as a year from now, Adolfsson said. He said SSAB saw it as particularly appropriate for bumper reinforcement beams — though OEMs were considering it for other applications. Adolfsson said that with an electric car incorporating the flat, chassis battery design of a car like an BMW i3, it was “extra important to have low weight” in the front and rear of the car, far away from the center of gravity. He said SSAB found that steel (likely higher-strength grades) could meet the same or even lower weight as other materials on “bumper beams, and so on” and be competitive on this point.